Photographer Victor Huang wanted to test out his new Panasonic Lumix camera while swimming in the waters o Wahine Memorial, Wellington, New Zealand, but little did he know that the large wild octopus he encountered would lead him on a different kind of journey. 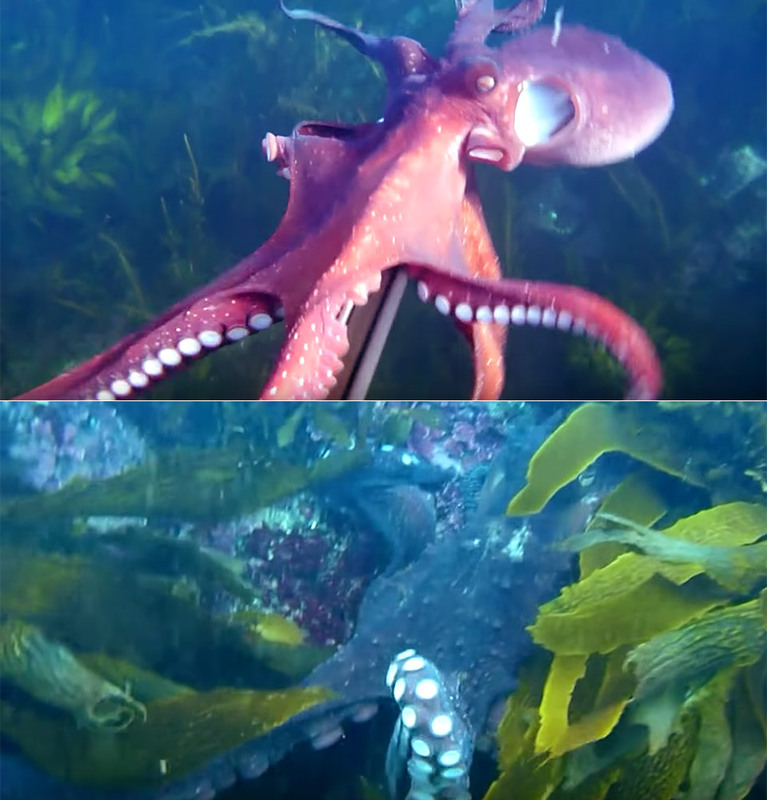 This octopus snagged the camera from his hands and swam away with it while still recording the movie-worthy chase. Read more to see what happened next. “While trying to get video of a wild octopus, it suddenly dashed towards me and rips my shiny new camera from out of my hands, then swims off, all while the camera is recording! he swam away very quickly like a naughty shoplifter. after a 5 minute chase, I placed my speargun underneath him and he quickly and curiously grabbed hold of the gun as well, giving me enough time to reach in and grab the camera from out of his mouth. I didn’t feel threatened at all during the whole ordeal. he seemed to be fixated on the shiny metallic blue digital camera. the only confusing behavior was how he dashed off with it like a thief haha. cheeky octopus,” said Victor.